Homeowner Krystal Price and David Schied discuss the formation of RICObusters. Novi, Michigan – Leaders and supporters of RICObusters gathered at the home of David Scheid July 29 to announce and view newly-produced videos describing their battles against fraud and corruption in the entire criminal justice system. 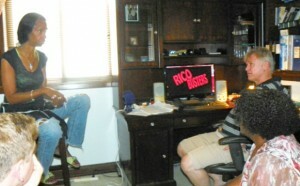 They are beginning with the issue of fraudulent foreclosures, but they are taking on wrongful criminal convictions and other issues as well.The stunning videos are professionally done, aided by Scheid’s previous experience in Hollywood, and are being reproduced here with the permission of RICObusters, which has a YouTube site at https://www.youtube.com/channel/UCd3xqk6Kc778ASLAsRpV5ag . Their leaders include Krystal Price, who has been battling the theft of her own home by Bank of America and Trott & Trott for years, Scheid, who has a background in investigative journalism as well, and paralegal Cornell Squires. 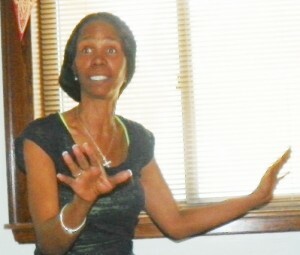 They have been helping homeowners fight illegal foreclosures pro se in courts across Michigan for years. 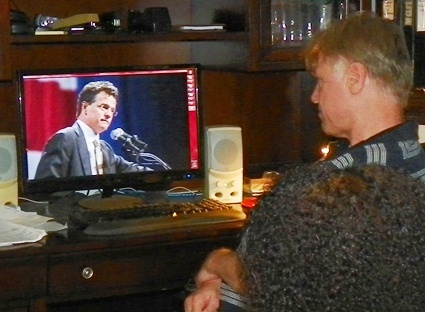 Scheid watches U.S. Congressional Candidate David Trott, owner of the largest foreclosure mill in the region, on video. “These are planned and formulated crimes involving racketeering by our public officials, lawyers, judges, notaries and others who should be prosecuted under RICO by the people themselves,” Scheid told the gathering. RICO is the federal Racketeer and Corrupt Organizations Act. 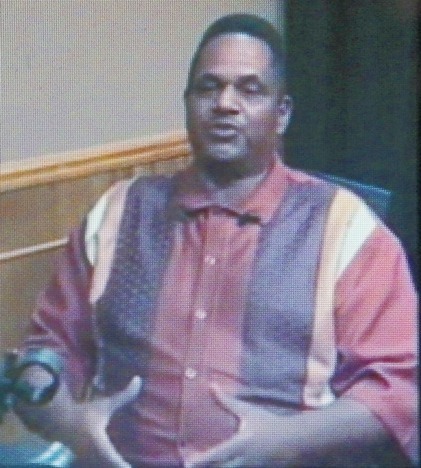 He said people’s grand juries must be formed across the U.S. to prosecute these crimes, since the formal court system is virtually useless to the common people. Price said, “They are criminal perpetrators who steal homeowners’ property.” She said she was victimized by the most prominent law firm involved in foreclosures and evictions, Trott & Trott. Astoundingly, the firm’s owner, David Trott, is running for U.S. Congress in the current elections. Locally, the group is targeting Michigan Gov. 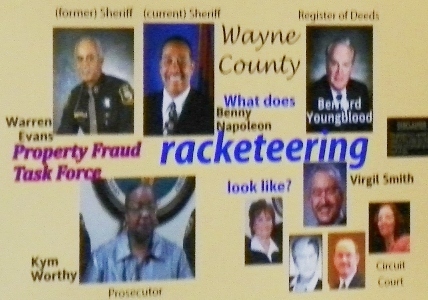 Rick Snyder, Wayne County Executive Robert Ficano and his minions, Wayne County Prosecutor Kym Worthy, Wayne County Clerk Cathy Garrett, and the Wayne County Sheriff’s office, among others. They particularly focus on sheriff’s deeds that have been fraudulently executed by those with no authority to do so, and sworn to by alleged “notaries” who regularly exchange duties with the executors. They also target the U.S. Justice Department and the U.S. Attorney’s Office. The group’s videos, the first three of which have been posted on You Tube and are reproduced here, are described as follows. The compelling videos themselves are the best tellers of RICObusters’ story, beginning with Segment 1, shown at the top of this story. Each of the three shown here are about one-half hour in length. Homeowner and RICObusters leader Krystal Price. “Welcome to RICO Busters, providing you with the tools of grassroots success in exposing and rooting out abuses of corporate and government power, and reinstating honesty and transparency in these power structures. This program is FOR the People and BY the People. WE are the whistleblowers. WE are the investigators. And WE THE PEOPLE are demonstrating the taking back of our responsibilities AS America’s real government. “The fact is that we have a revolving door between the judicial and executive branches of the state. Indeed this is happening throughout the United States. There are no checks and balances. Instead, our public ‘servants’ are regularly engaging in aiding and abetting each other as they use color of law and administrative procedure to deprive the rest of us of our due process rights, and to pad their own bank accounts with our money and property. They operate with no morality or ethics, and no rule of law. “We are right now living in a lawless state – a lawless America. The time has come to define ourselves as Americans. Will we continue to be on the bandwagon that has led Americans to become hated instead of admired all over the world because of our self-serving greed and legal maneuvering? Or will we be part of the growing movement that is taking on a personal responsibility for getting back under OUR control a corporate-government oligarchy run amuck. There is no doubt by many that we need to get government back in its “box,” and back within its confines of our state and the United States constitutions. A FORGERY OF MY NAME & A MOCK APPEAL HELD IN BANKRUPTCY COURT WAS HELD BY SOMEONE PRETENDING TO BE ME… THIS ALL BECAUSE OF ILLEGAL FORECLOSURES THAT TOOK PLACE ON MAY 05, 2015. EVEN THOUGH THE MTG., COMPANY FILED A CANCELLATION OF DEBT (7-MONTHS-PRIOR) NOV.2014. THE ILLEGAL MOCK APPEAL ON MY BANKRUPTCY LASTED 4-(FOUR) YEARS & I FILED BANKRUPTCY “TWICE” SINCE THEN (once with an Attorney). I Sued the Mortgage Company for an “ILLEGAL-ASSEMBLAGE & PREDATORY PRACTICES, ETC.” & THEY CANCELLED THE DEBT IN NOV.2014 THEN FORECLOSED 7-MONTHS LATER ON MAY 05, 2015. NOT EVEN RECOGNIZING THEIR “FILED CANCELLATION- OF- DEBT” MY BANKRUPTCY FILED BY AN ATTORNEY ON MAY 04th, 2015, OR THEIR RECORDED ADMISSION TO SANCTIONS BEING ALREADY WRITTEN AGAINST THE LOAN, OFFERING ME–1% -OF THE DURATION OF THE LOAN OR MY ACTIVE LAW-SUIT AGAINST THEM… FOR INCLUDING A SEPARATE PROPERTY (VACANT LAKE- FRONT -LAND-LOTS THAT WERE OWNER-FINANCED) WHICH WERE FREE & CLEAR THAT NESTED OVER 16-20 BALD EAGLES AND OTHER RARE BIRDS. THIS IS WHERE THE P.O.A (property owner’s assoc.) TOOK MY FENCE, CHOPPED DOWN ALL VIRGIN TIMBER, RESURVEYED MY LOTS, GIVING A PORTION TO NEIGHBORS WITHOUT LAKEFRONT OWNERSHIP (because I owned the entire CUL-DE-SAC on the LAKE & taking out the original pins) THEN, REZONED IT ALL AS ONE LAKE FRONT LOT, COMMERCIAL INDUSTRIAL—GIVING ROYALTIES TO THE BLOCK, ADMITTING TO EVERYTHING IN THE POLICE –REPORTS. I thank you for your courage and for the “problem identification”. The common thread in government is the ABA, which has infiltrated all three branches of government. The American BAR Association is “The ENEMY”! We are fighting Freddie Mac for years, can you please recommend someone who can help us in illinois? Is there anyone in Illinois representing the people who are in the mercy of the corrupt banks. Please contact me with any info.